The Minister of Power, Chinedu Nebo, on Wednesday charged the incoming administration of Muhammadu Buhari not to reverse the power privatisation policy of the President Goodluck Jonathan administration. 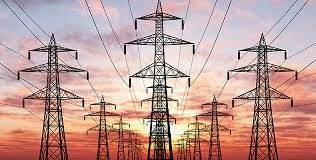 The minister spoke against the backdrop of the perception that Buhari’s administration might reverse the power privatisation policy, said it would be counter-productive with attendant grave consequences. On the current poor power supply in the country, Nebo said some groups of Nigerians were frustrating the government’s effort at making power available. He stated that government had the capacity to provide 5,500 mega watt of electricity, but this has been hampered by the activities of vandals who destroy gas pipelines to frustrate government’s efforts at making power available. “On the privatisation, I think the incoming government will be ill-advised to reverse the privatisation and liberalisation of power generation, transmission and distribution because any attempt to do that would be to set Nigeria backward many, many decades. “The gains of privatisation are very obvious. If we can solve the problem of gas, then we are talking about the energy mix, we are not just going for gas we are also doing hydros. “It was this same administration that flagged off the 750mw Zungeru hydro power plant and the 3,050mw Mambilla hydro plant. Also, Shiroro dawn has been improved and revamped, while Kanji and Jebba have been also revamped and improved. “So there is a lot of work being done by the government; however, to turn back on privatisation would mean stopping all of these companies and then reversing the massive inflow of investments coming into the power sector. “Nigeria’s power consumption per capita is one of the lowest in the world and that is part of the efforts of government to reverse that. So I don’t think it is in the best interest of the country,” Nebo said.